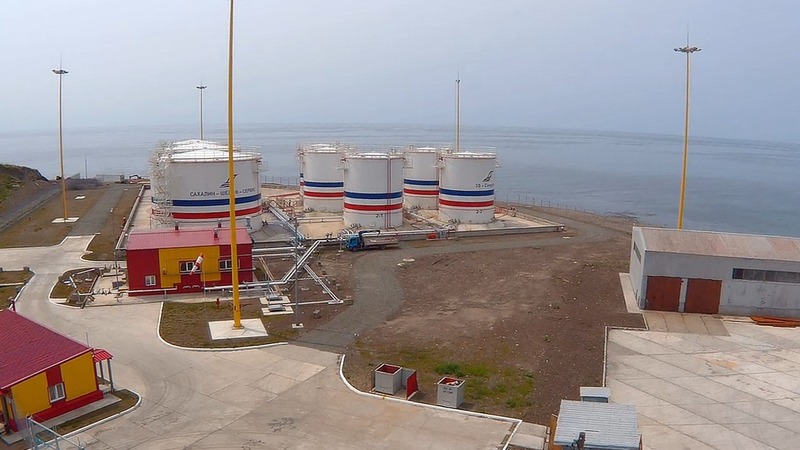 In 2016 the major event in JV LLC “Sakhalin-Shelf-Service” activity was commissioning of Fuel Depot in Sakhalin Western Seaport. Commissioning of Fuel Depot allowed SWSP to provide variety of vessels processing services. Fuel Depot made it possible to bunker vessels onshore avoiding offshore bunkering. - high level of operations control and spill prevention. 3) other technical facilities, which guarantee stable and safe operation of Fuel Depot. All operations are conducted under high level supervision: Fuel Depot has all means and materials sufficient enough for emergency situation response in case of oil spill. The agreement with special oil spill response company is concluded for quick actions. Fuel Depot personnel and vessel crew control thoroughly the process of oil products bunkering preventing possible leaks and controlling vessel’s position beside the berth.